The Eighties were dominated by glamrock and thrash metal. Bay area thrash was big, bands like Testament, Vio-lence, Possessed, Exodus all hail from there, as do SADUS. 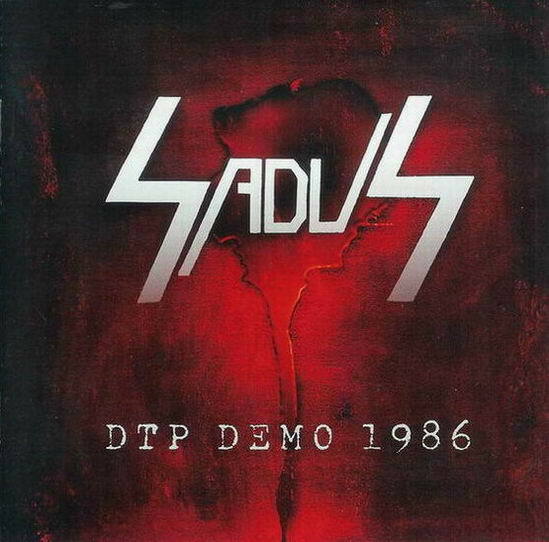 While it seems like the thrash scene has almost completely died and almost all the big names have ceased to exist, SADUS are among the only few bands who have survived the grunge, black metal and hard-core take over and record company politics. 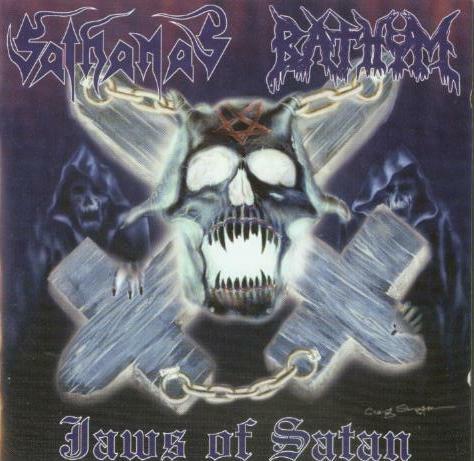 Formed in Highschool in 1984 in Antioch, CA, SADUS start off as a four-piece with Darren Travis on vocals and guitar, Rob Moore on guitar, Steve DiGiorgio on bass and Jon Allen on drums. 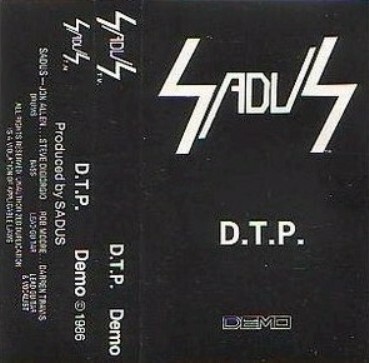 SADUS first emerge to the scene in 1986 with their DTP-demo, shortly followed by the Certain Death-demo in 1987. 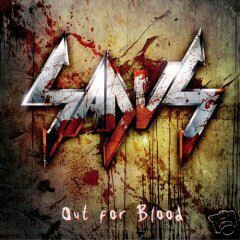 These releases establish the band's name in the Underground scene and result in a two song contribution to the Raging Death-compilation from 1987. Still, it takes at least another year before their first album, Illusions, gets released, at the end of 1988. Illusions (which was recorded in Richmond, CA), produced by Metal Church guitarist John Marshall, sells about 7000 copies and gets the band signed to the Roadrunner label. 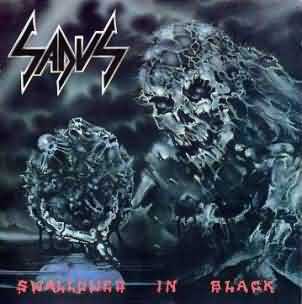 Fall 1990 sees the release of the Swallowed in Black album (which was recorded in Berkeley, CA) and SADUS manage to get the SOS bill, which features Sadus, Obituary and Sepultura. 1991 is the year where SADUS get mainstream metal acclaim by "lending" bass player Steve DiGiorgio out to Death, for the Human album. 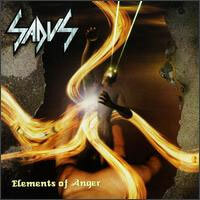 DiGiorgio's appearance gets the band noticed in a scene and a lot of Death fans check out SADUS. It's perfect time for Roadrunner to rereleased Illusions, retitled as Chemical Exposure (retitled by the band in '89 for the cassette version) on November 11th '91. Earlier that summer SADUS tour EUROPE with Morbid Angel. In 1992 A Vision of Misery (recorded in Concord, CA) is bestowed the masses, displaying a matured and technical, yet still aggressive SADUS. This year also involved Roadrunner politics, and SADUS leave their record label. After a short headlining tour of Europe, the band returns home labelless, and unknowingly in store for some changes. In '93 Steve DiGiorgio flies back to Florida to record another Death album, Individual Thought Patterns. The whole year is spent while Steve completes the tours for the Death record, and shortly after, he leaves the band. 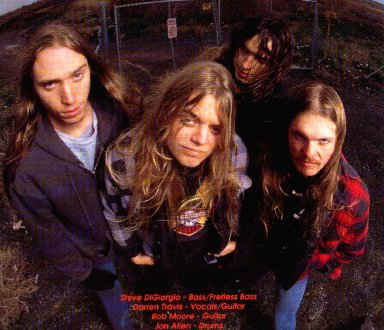 1994 Steve agrees to come back temporarily for some live shows and a demo recording, but during this time Rob Moore finds himself no longer with the band. With one member gone, the others decide to go on as a three piece. During this time, the aforementioned demo (which gets world wide recognition as the red demo) is recorded and shopped. In late '95 early '96, the band signs a recording deal with Mascot Records. At this time bassist Steve has officially rejoined the band. 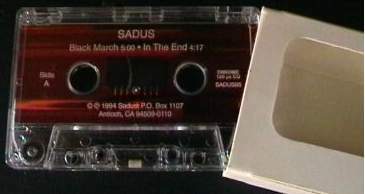 1997 : Continuing as a three-piece, SADUS has finished their new album, Elements of Anger (recorded in Richmond,CA and mixed in San Francisco), with producer Scott Burns. The album will be out this fall. One of their new songs, Stronger then Life, appears on the Mascot record compilation (Extreme Rock n' Roll series vol.1 - new age of excitement-). Incidentally, a compilation album is also in the works which will feature remastered version of songs from the first three releases (entitled Chronicles Of Chaos) availible this fall as well.